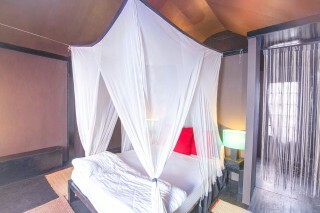 Settled on the serene Agonda Beach, this is an offering of a one-bedroom rustic hut can accommodate up to three people. 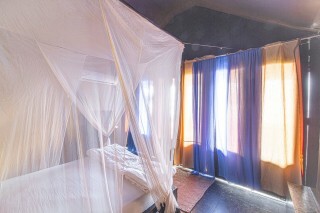 This accommodation is ideal for those seeking a relaxing vacation. Ample parking space is available for those on a road trip. 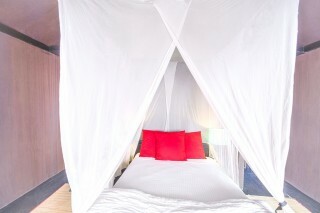 Your Space Surrounded by rich garden palms and tropical shrubbery, the hut boasts minimalistic interiors with a comfortable double bed which is covered with a sheer bug-proof canopy, bedside table lamp, and a commodious wooden wardrobe. There is a rustic attached functional washroom with necessary sanitary ware. The room leads to a spacious balcony with comfy chairs that overlook the sea. The property also houses a garden and has a well-equipped quintessential spa room, which you can visit in case you’re in need of some pampering. 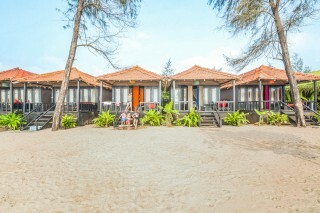 The beach huts are located on Agonda beach which near to cola beach and Palolem beach. Cola beach is 6 kms away from here. It is a very cute beach with a blue water lagoon for swimmers. 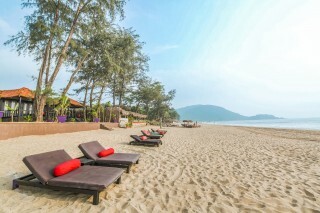 This is one of the most beautiful beaches in Goa. It has few beach huts and Shacks. The route to the beach is little difficult but you won't regret going there. 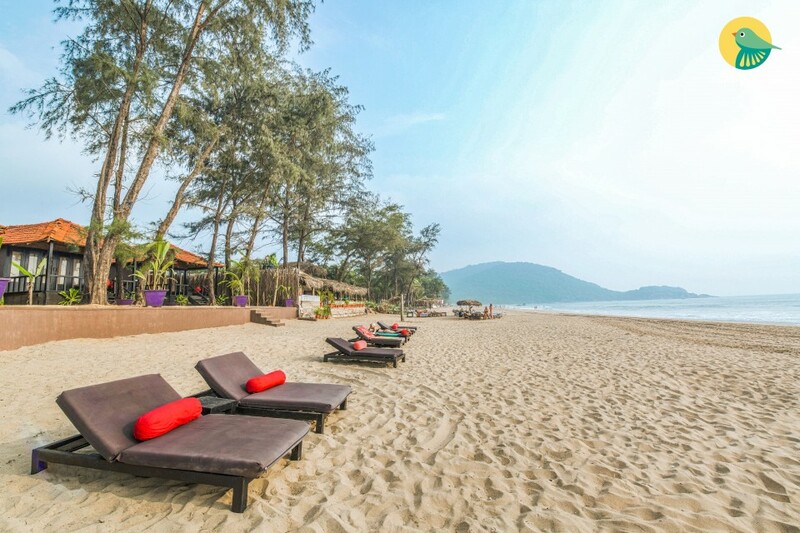 Palolem beach is the most crowded and lively beach of south goa and is at 9.2 kms. 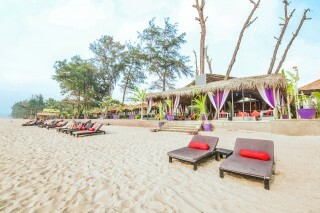 From Palolem beach you can hire boats to reach Islolated but beautiful butterfly and honeymoon beaches. Calvossim beach is 26.8 kms away. Varca beach is 31.6 kms far from here, Benaulim Beach is visted by many local and non-goan vtravellers daily and it is at 35.9 kms. The Colva Beach is located nearly 38.5 kms away. The serene and beautiful Majorda Beach is at 45.8 kms from here.Bogmalo is located at a distance of 62.1 kms. Other places to visit includes Cabo de rama fort at 17. 2 kms. Amazing place to chil and enjoy the cleanest beach and sand I ever seen. Food is superb and service is awesome. Staff was mixed up with my kids and even my kids are still missing them. Great arrangement to make our evening memorable with candle light dinner over the sand.... Over all we are waiting for our next visit. Madgaon railway station is 35.7 km away from this location. Nearest airport is Dabolim Goa international airport and it is 60.3 km away.